Sui Generis completed a fibreglass lining and repairs to the underground GRP effluent tank, damaged due to pressure from the water table. 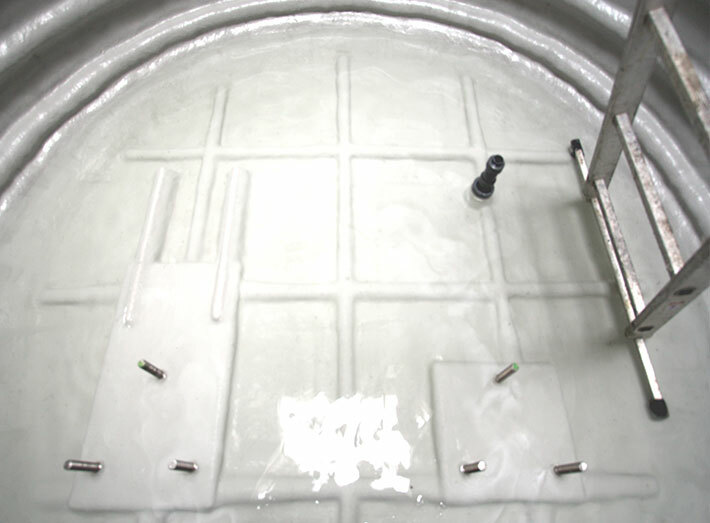 An effluent ethanol and water tank was in need of refurbishment. Wall and floor surfaces were prepared and repairs made to cracked areas. 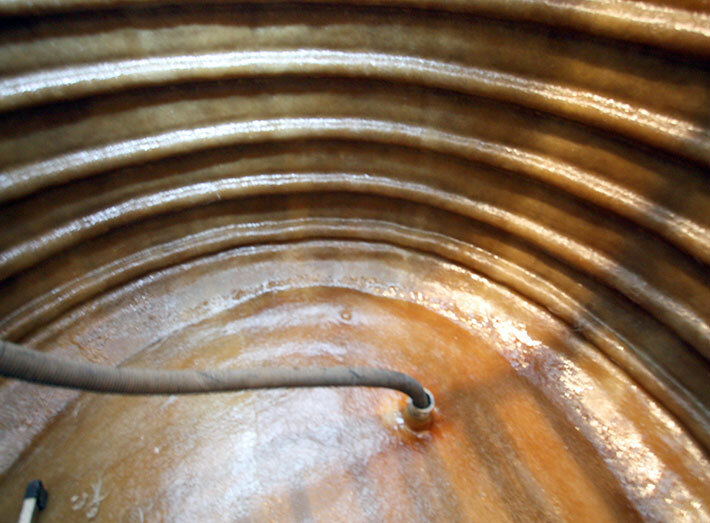 The tanks integrity was increased by adding strengthening ribs around the walls, these were encapsulated in GRP. 1. 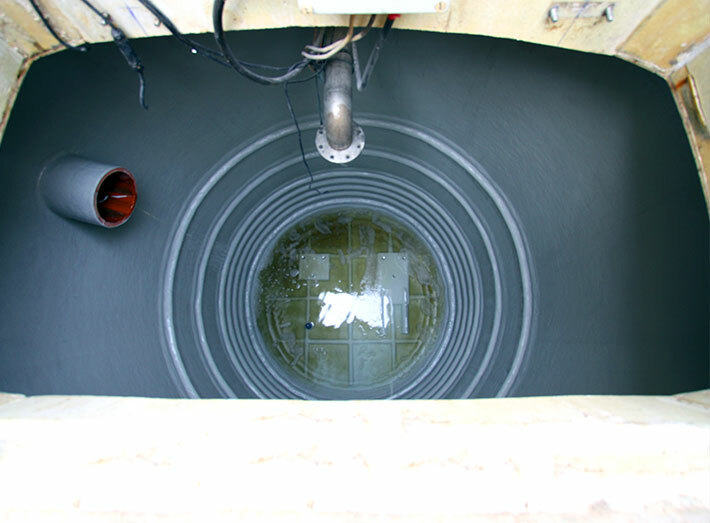 Fibreglass repairs to an underground GRP effluent tank, damaged due to pressure from the water table. 2. 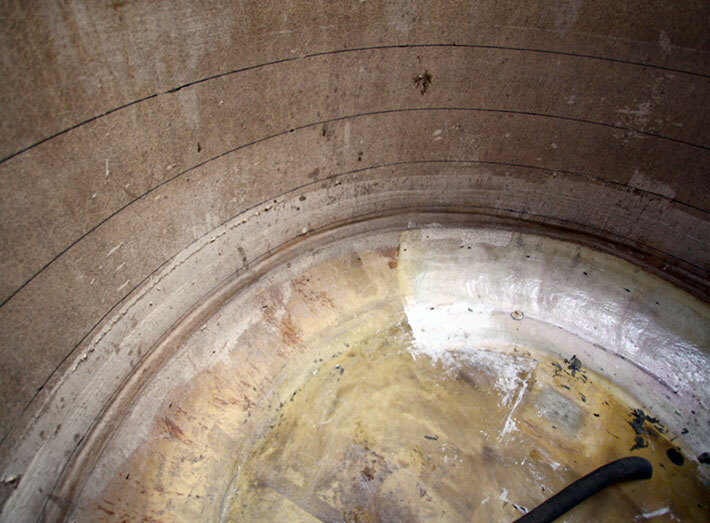 Tank wall and floor surfaces were prepared, repairs made to cracked tank areas. 3. 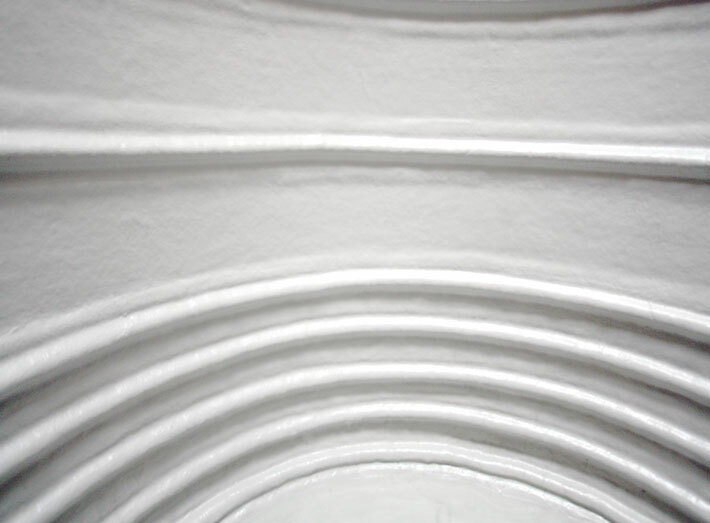 The tanks integrity was increased by adding strengthening ribs around the walls, these were encapsulated in GRP. 4. 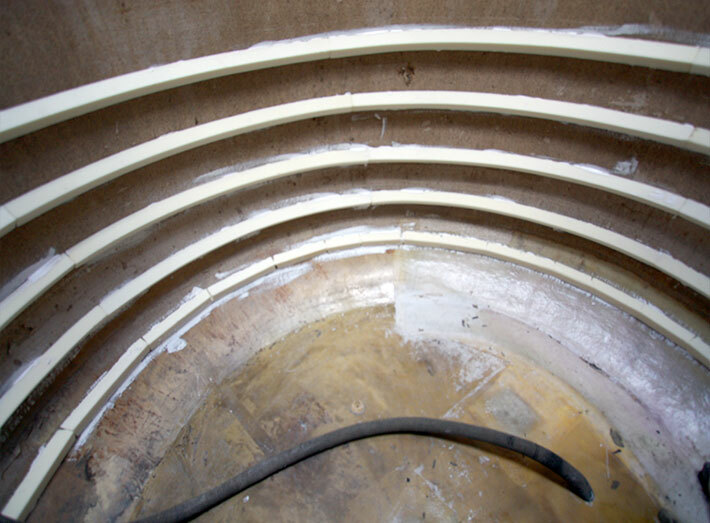 Fibreglass lining added to tank interior. 5. Completed fibreglass lining and final coating system. 6. With the fibreglass lining system complete, the effluent ethanol and water tank is back in use.